There’s so much to learn with social media advertising that it’s difficult to know exactly where to start. For example, audience targeting, budgeting, A/B testing, pixel tracking, writing, designing and analyzing all need to be taken into account if you want to see positive ROI from social media advertising. There’s time and resources to consider as well. Even incredibly talented social media managers that oversee multi-million dollar advertising budgets understand that it takes hundreds of experiments (and failures) to master the art of social media ads. After speaking with top brands and marketers from around the globe, we’ve discovered a simple 3-step approach to successful social media advertising. This approach will help you bring all the various elements of advertising together in perfect harmony and how to drive more ROI from your ad spend. Over the years, we’ve spent countless hours experimenting with various social media advertising strategies. Whilst research each of these experiments, we found that there was a ton of awesome advice on tactics for each individual channel, but what we were missing was an overall strategic approach or “way of thinking” about social media advertising. Instead of focusing on individual tactics and channels that frequently change, we wanted to focus on a blueprint that could be applied to any business or brand, no matter the industry or product. And that’s what I’d love to share with you below. 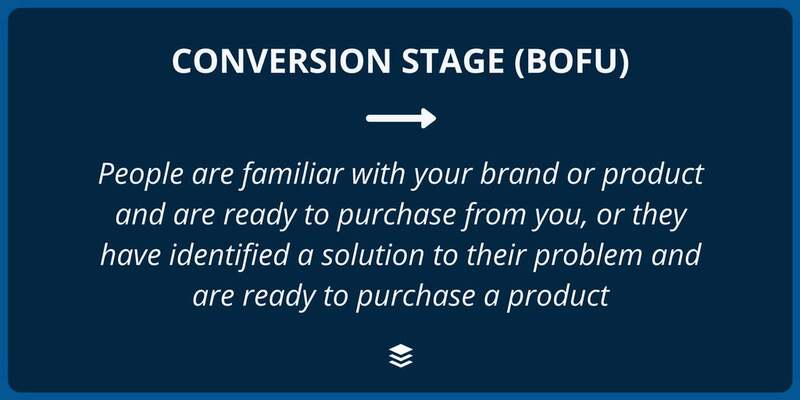 Unless you have a product that’s flying off the shelf or a viral marketing campaign, you’ll often need all three stages (awareness, consideration and conversion) working in tandem to attract and acquire new customers. One of the things I hear most from businesses is that they’re having trouble finding success with social media advertising, particularly Facebook, in trying to sell their product or services. It can be quite a challenge to immediately begin selling your product through social media advertising. As a marketer, you have to be willing to build relationships with potential customers first before you ask for the purchase. That’s where this idea of awareness, consideration and conversions come into play. In the awareness stage, people are either completely unfamiliar with your brand or are unaware that they have a pain point that needs to be solved. If you’re a direct, somewhat unknown competitor of Nike, the awareness stage is a critical place to start with social media advertising. Reason being, Nike has a strong hold on the market in terms of brand awareness and affinity. People may not know that your shoes and/or gear is more competitively priced or better quality than Nike. One great strategy for increasing brand awareness is to focus on organic social media posting and amplifying your top performing content. 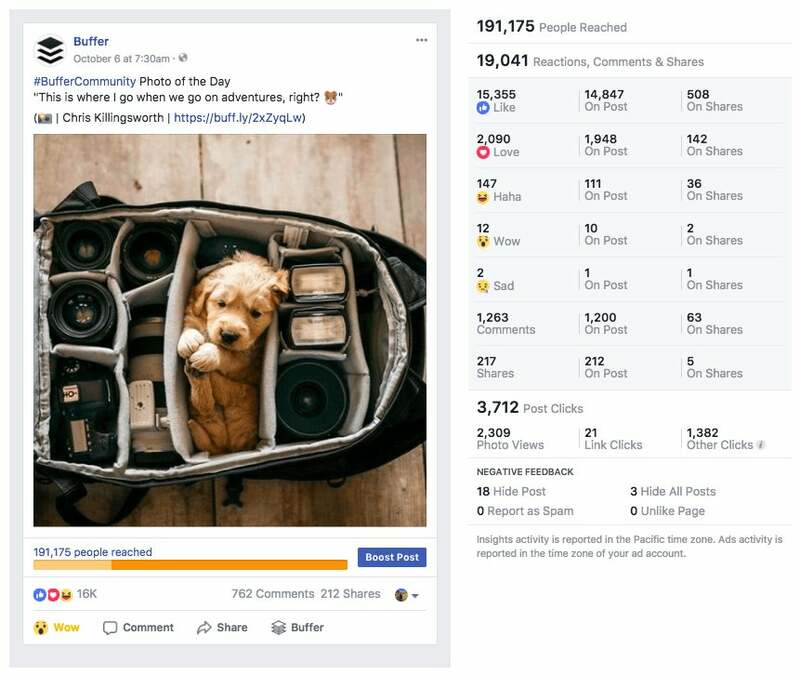 One of the biggest opportunities for so many brands with limited time and resources is to simply boost top performing posts from their page. Not only is this the most inexpensive form of social media advertising, but it also provides brands with a way to reach a new customer segment that they might not have been able to with traditional ads. 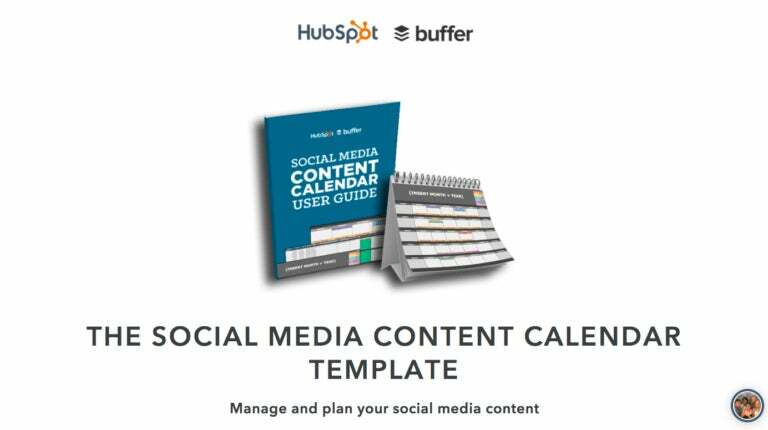 Organic social media content is a powerful catalyst in increasing word-of-mouth marketing. People are much less likely to share an advertisement that feels like an advertisement with their friends and family. We spend about 70 percent of our overall advertising budget on simply amplifying or “boosting” top performing content. Some of these boosted posts have reached up to 750,000 people with one or two hundred dollars. Where else can you reach 750,000 people for a few hundred bucks? It’s incredible! What I love most about TOFU social media advertising is that you can boost posts to specific, targeted audiences. With Facebook, for example, you don’t have to use the “boost post” button that you see next to your posts in the feed. 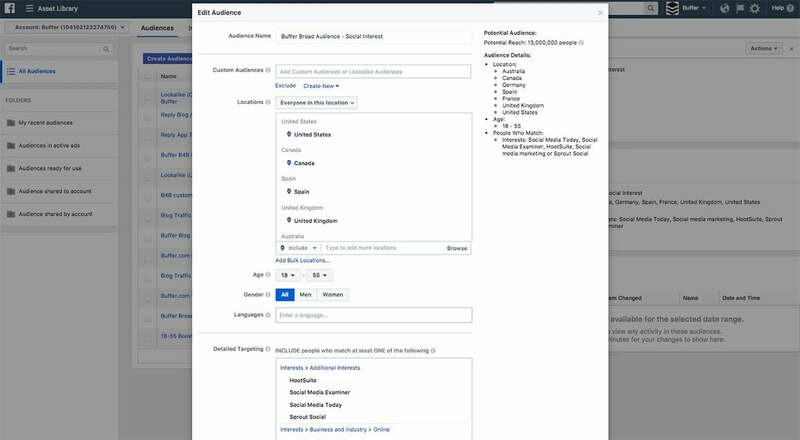 Instead, as a Page manager, you can use Facebook Ads Manager to create a campaign (such as traffic, engagement or video views) to create a custom audience. Then, once you’ve created a custom, highly-relevant audience, simply select the “use existing post” option. This gives you total control over budget, goals, audience and allows you to run boosted posts alongside all of your other campaigns so that you can compare results. Boosted posts aren’t the only option for marketers in the awareness stage of social media advertising. You can advertise with fun articles, videos, graphics, memes, GIFs — anything that you know an audience will respond to and (ideally) share with their followers. 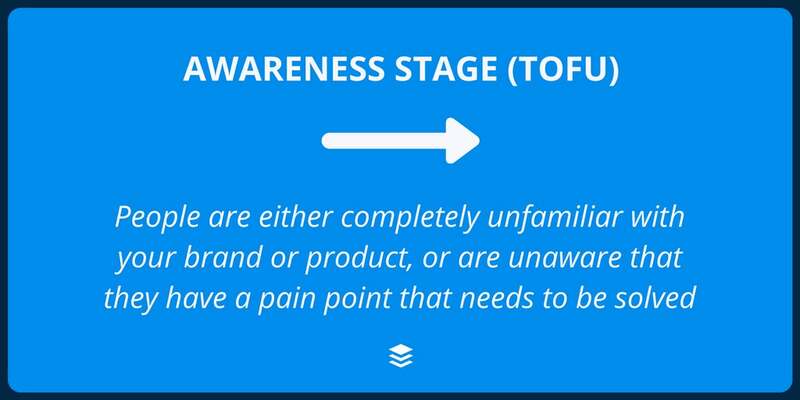 The main focus in the awareness stage is to create and share content that’s super-high-up in the funnel (TOFU). This content shouldn’t necessarily ask for a sale or be a product promotion. It should simply look to provide fun, useful or entertaining content to an audience who is unaware of your brand or unaware that they have a pain point. Going back to our Nike example, awareness-type content might be a video series on selecting the proper shoes for all types of activities, or it might be a complete comparison guide on the latest shoe fashion. Anything that catches someone’s eye! This will help set your business up for the next stage, which is consideration. The second part of our 3-step approach is the consideration stage. 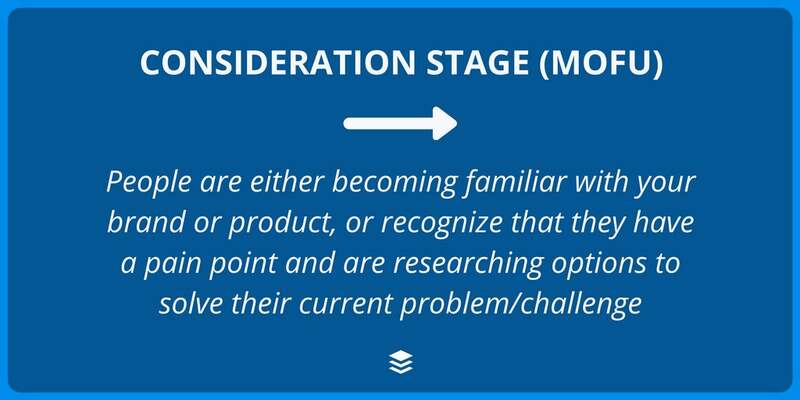 Consideration, in particular, is the stage where people are either familiar with your product or recognize that they have a pain point and are researching options. It’s in the consideration stage where honing in on proper targeting and retargeting can become a huge factor in the overall success of your ads. Targeting the correct audience can lead to higher conversions and lower costs. Installing the Pixel will allow you to track the behavior of users on your website and also target them with Facebook Ads in the future based on specific actions. It’s magical! Keep in mind that many social media networks offer snippets of code that you can place on your website in order to fully track the success of your ads. If you don’t have a ton of website traffic at the moment, that’s OK! There are other great ways to target valuable audiences for your business on Facebook. One of my favorite ways is the Lookalike custom audience option. 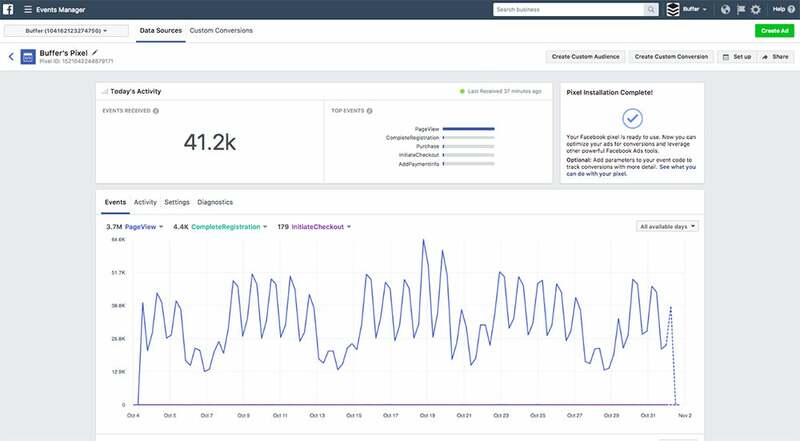 Using Facebook’s sophisticated algorithm you can create a custom Lookalike audience that target’s users who are most likely to engage or purchase from your brand. There are two great ways to go about creating a Lookalike audience. One, you can upload an email list of your most valuable customers — ideally customers that have a high lifetime value (LTV), or customers you know that make repeated purchases. That gives Facebook a great place to start in understanding who to target. 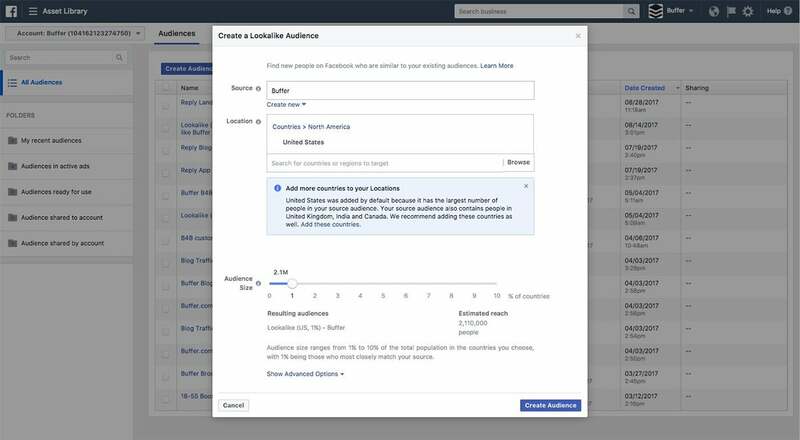 Two, you can create a Lookalike audience based on your own Facebook Page audience. In other words, an audience that’s closely related to the people who currently like and engage with your page. 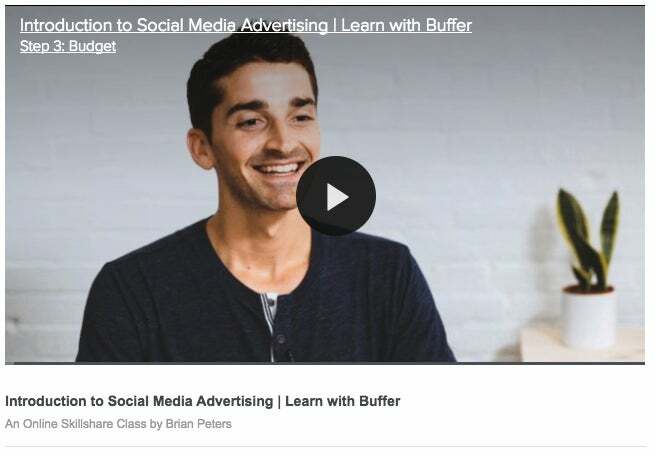 We’ve seen huge success with Lookalike audiences on Buffer’s Facebook Page. 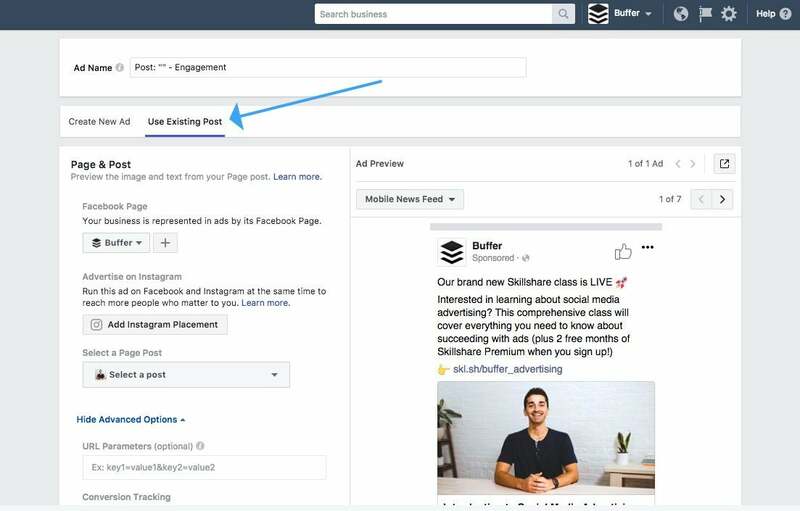 Recently, we experimented with uploading a Mailchimp list of Buffer for Business and Awesome users to Facebook and created a Lookalike audience from there. Campaigns using this custom audience have resulted in a 30 percent lower CPC and a 11 percent higher conversion rate than our standard demographic-based audience. Speaking of demographics, that’s the final (but still great) way to target users. You can target users based on age, location, mobile device, interests, income, job title and tons more. Where we’ve seen the most success is targeting users who like pages similar to ours. We might target users if they’ve liked pages such as Hootsuite, Jay Baer, Mari Smith, Social Media Examiner, Socialbakers and other similar brands to Buffer. To quickly review, the consideration stage is where your customers are either aware of your brand or aware that they have a pain point that they’d like to solve. So it’s important to articulate your ads in such a way that speak to customers at this stage of their journey. Similar to the awareness stage, people in the consideration stage still need a bit of guidance or time before making a purchase. In speaking to some big brands and people who specialize in Facebook Ads, successful content in this stage depends a lot on the value and perceived value that you’re providing. What specifically are you providing users that is different than they are used to seeing, hearing, reading and experiencing in on social media or in their industry? Is what you’re advertising with so compelling that they had to click? For example, let’s say your business is a marketing agency and you want to get more qualified prospects into your sales funnel. You started in the awareness stage and boosted one of your top performing posts on Facebook which drove some traffic to your website. If you have Facebook Pixels set up on your website, you can create a Custom Audience based on traffic to that specific page and retarget those users with an add for another similar piece of content. Or you can target them with an invitation to an upcoming webinar on marketing strategy. Or, a free download of an ebook that you created on starting a business. Since that audience already interacted with your content on Facebook and has now visited your website, you’ll have a much higher chance of getting them to sign up for something in the future and might even get their email address while you’re at it! One more example of targeting in the consideration stage! First, we created a TOFU video that was meant to purely drive views and engagement. After posting the video organically to Facebook, we boosted it for extra views. After about three or four days the views climbed up into the thirty-thousand range. We then created a Custom Audience based on people who watched more than 10 seconds of this video we created (making them a highly-engaged user). Within that custom audience, we excluded anyone who had visited Buffer.com or blog.buffer.com in the last 60 days. Finally, we targeted a top performing and related blog post to this audience to drive traffic to our website. This ad has driven more than 3,500 visits to our blog for less than $0.15 per click. All of which haven’t been to any of our pages within the last 60 days! Which leaves us with one last stage, the money maker, conversions. The conversion stage is one of the trickiest stages to master, but those that get the hang of it can drive big results for their business. The ability to track results. It’s also worth noting that great conversion-focused ads almost always contain an irresistible offer. For many companies, this might be a discount on a product, a free-trial, a coupon, a buy-one-get-one-free offer or even the standard product in full price depending on the industry. Along with this is the importance of being able to track results of your conversion ads through tools like the Facebook Pixel, Google Analytics, a product like AdRoll, or even maybe your brand’s CRM. Understanding which campaigns are driving conversions, which campaigns are resulting in higher lifetime value customers, and which campaigns are losing money is super important in helping you to double down on what’s working and drop or iterate on what’s not. It’s important to note here that the word “conversion” doesn’t necessarily have to mean purchases or sales. A conversion can mean a variety of different things to different businesses. You might find that a user who signs up for your webinar is much more valuable then someone who signs up for a free trial. In that case, you’ll probably find it valuable to spend a majority of your ad dollars on webinar conversions, which you can track with a simple landing page and thank you page. Speaking of budgeting, here’s a sneak peek at “Budgeting” from our new Skillshare class! The conversion stage is all about knowing how to track valuable pieces of content in every part of the customer journey. Social media advertising can be a daunting venture for many businesses and marketers. 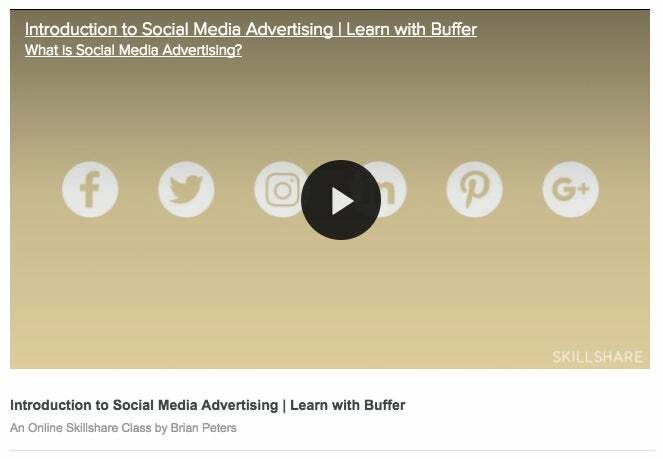 It’s what prevented us at Buffer from experimenting with ads for a long time. 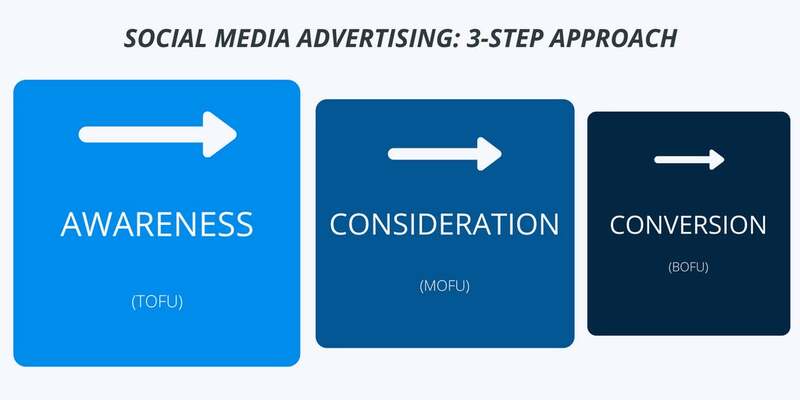 Thinking of advertising in terms of the three different stages: awareness, consideration and conversion, you’ll be well-ahead of 90 percent of the social media advertising marketers out there. You can begin with the basics such as boosting posts to help build an audience that you can eventually target down the line. Or, you can jump right into the bottom of the funnel if you have a piece of content that you think would work particularly well. We encourage you to get out there and try it for yourself!